The Factory Five '33 Hot Rod does not support hydraulic power steering. Electric power steering must be ordered directly from Factory Five. Due to chassis clearance, engines for the Hot Rod are built with a stock type oil pan. Minor motor mount adjustments may be required for hotrod chassis. Choose your engine, front drive components and transmission package for a true FactoryFive Mk4 Roadster turn-key build! Designed specifically for your new Factory Five Mk4, these brute power plants will leave anything that crosses its path in the dust. 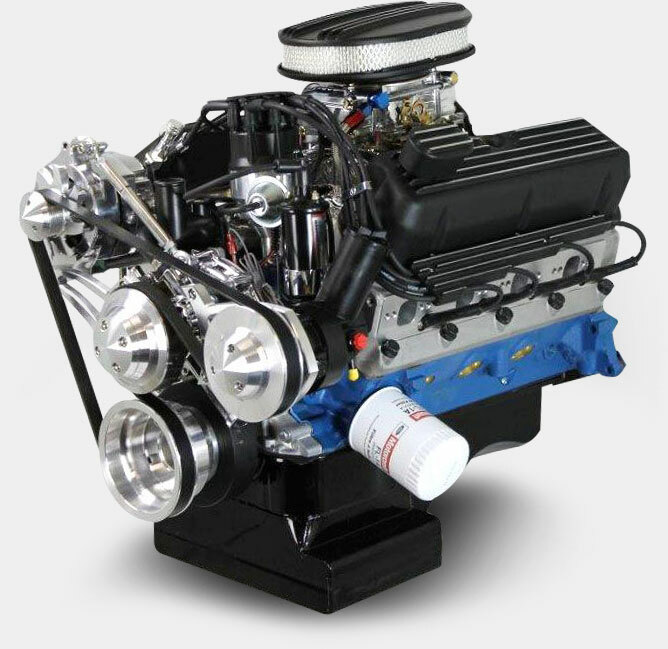 Our Engineers left nothing out when considering the legacy these engines will be powering; your roadster will show its class with a beautiful small block Ford, paired from our factory with the famous TKO 5 speed transmission. Our drivetrain assemblies are carefully designed for the Mk4 and precisely mated for maximum power, endurance and drivability.